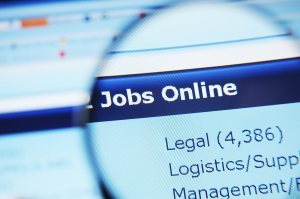 Most of you are familiar with job search engines (large job boards such as Monster and Careerbuilder and meta job search engines like Indeed.com and Simplyhired.com.) The meta job search engines are sites that search other job sites like Monster and Careerbuilder as well as direct employer sites and then aggregate them into one all powerful user job search – it is these meta search engines that we will focus on in this article. While meta-search engines have been around for quite a while in different forms (a travel specific meta search engine example is Kayak.com), the fact that these job sites are very automated and work behind the scenes means that their inner workings are somewhat of a mystery to many recruiters. Many recruiters are oblivious to the fact that there are proactive techniques that can be adopted to ensure that their job postings are well publicized on job search engines, and I have described several of these techniques below. Yes, the first and most important step to making use of meta-search engines like Indeed and Simplyhired means talking to the technical teams. The technical teams will have to place some code in your company/agency jobs portal and set up an account with each meta search engine, so that your jobs will appear in meta search engine results, thus advertising them to a potential audience of millions. There may be nothing that you have to do in order to have your jobs indexed besides informing the sites that you would like them to crawl your jobs. In other cases, there might be some altercations needed to your job listing service or career site. You can of course set up the meta search engine account yourself but you will still likely need to ask the technical team to provide you with an XML feed of your agency/jobs portal as you will need to enter this into the meta-search engine in order to connect your site to it. In terms of web coding – the simpler the better. If you use an applicant tracking system, make sure that the provider can give you an easily accessible and friendly feed of jobs. If you are setting up a new careers site, be sure to make everything about the site simple and straightforward. If you just have the occasional job to post, then some of the meta-search engines will actually allow you to post jobs directly to the site, which means they can also behave more like the traditional job boards. Indeed is one of the sites that allows direct job posting, but you will have to pay a small fee each time a user clicks (called pay per click) on your job listing. It is important to understand that if you are paying per click, your conversion rate becomes all that much more important. You need to write job ads that sell and have job titles that describe the position well – you don’t want to be charged for someone clicking on your job post only to discover the job isn’t what they thought. Be sure that the title and first part of your job describes the exact function of the job requirement. All search engines, (including meta-search engines), will rank search results based on keyword relevance and keyword density. If you want your job pages to rank highly in candidate searches and therefore be exposed to the greatest audience you must ensure that your job listing references the job title frequently throughout the job advert. If the job is for a ‘Finance Director’, then you would need to explicitly mention the term ‘Finance Director’ a few times in the description. Following this process would mean that you were optimizing your job description to the search term ‘Finance Director’. Think about what users will actually search for – will they search for ‘Software Specialist II’? Or will they more likely search for ‘Java Developer’” Pick user-friendly, common job titles – not the sometimes obscure and specialized job titles that companies use internally. For example, your company may have a role that is internally termed ‘Assignments Coordinator’, but, it in the external world, it may more commonly be referred to as a ‘Project Manager’. There are likely to be far more searches for the term ‘project manager’ than ‘assignments coordinator’, so for maximum audience exposure you would list your role under its externally recognized name of ‘project manager’. However, people will also search for project management, PMP certification, etc… Make sure that your job description uses variations on the job title. A good way to do this naturally is in the description of the job functions. To do this, you may need to collaborate again with your web development and content marketing teams. You should ask them to place Google tracking code in all your job XML feeds so that you will be able to see how many of the visitors to your site came from your various job postings, using Google Analytics. This means that you can test out different campaign methods and see instant feedback as to the effectiveness of these campaigns, enabling you to optimize your marketing activity, and attract more candidates. Additionally, you will want to set up tracking of a “Goal” in Google Analytics. In this case, your goal page would probably be the page where you say thank you for applying to the job. You will then not have to rely on user-sourced data from source-of-hire fields in your applicant tracking system. Instead, you will be able to directly see the referral path that applicants took to apply to your job. If Indeed.com was a top source, you might then direct more attention, focus, and advertising dollars to that job site.